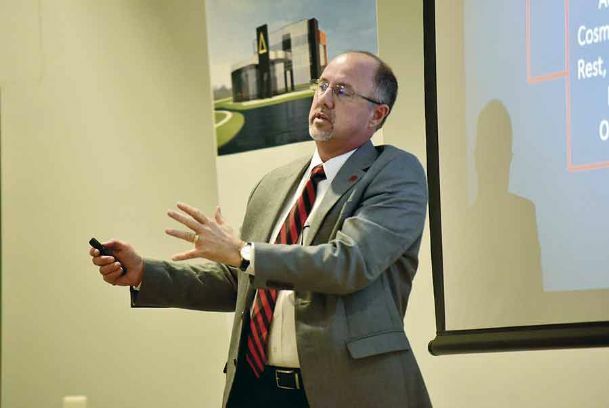 Mississippi native Dr. Scott Alsobrooks recently took over as President at EMCC, and he’s already excited about what he sees: “The people are just, you know, what makes it good. And uh, that’s a marvelous asset to have and we’ll get to work, and find students that are ready the you know [sic] get enrolled, and get into a program. And learn and go to work. . .
“Our goal is to put the proper programs in there that match up with the local industries, there’s gonna be a pipeline for them. 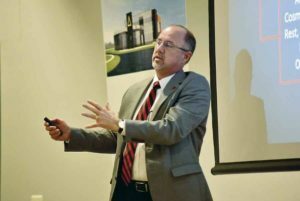 You know, to produce students that are prepared for entry-level jobs, and-and that’s our goal to get people in there and get em training,” said Alsobrooks. He is well-prepared, knowing that obtaining adequate funding from the state may be easier said than done in upcoming years. However, he also has faith in the school and in its hard-working students – both current and prospective. Alsobrooks is a 15-year veteran of the community college system; he was previously the VP of Workforce Development at Pearl River CC. Please click here for the original post. 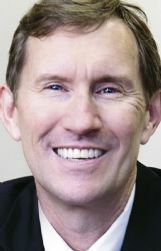 East Mississippi Community College has announced that it will be bringing in a new president early in 2019. The newest officeholder is to be Scott Alsobrooks, vice president of economic and community development at Pearl River Community College in Poplarville. His predecessor at EMCC, Thomas Huebner, resigned his position in May. “I’ve watched what’s been going on in the Golden Triangle,” Alsobrooks said. “The (manufacturing) renaissance that you have is just really amazing. When I was a student in the ’80s, between Starkville and Columbus, it was just cow pastures. Now, you drive through there and you’ve got all these big manufacturing plants and they’re making helicopters and engines and just all kinds of advanced things. I’m excited about coming up here and being a part of that and helping students be successful.” “The Communiversity is going to be a huge asset in the community,” he went on to say. “I’m excited about … getting to work. Football and Spices and Bars, Oh My! 1920 Hwy 45 in Columbus will soon be the home of a new sports bar called “Yo’Bar.” The venue is the brainchild of Ledrico Isaac, who has been working hard on the idea for nearly five years. The place will have food and drink as well as a mechanical bull, karaoke, football games on the TV’s. On a related note, The Elbow Room will re-open (under its original ownership) while they look for a buyer. They’re asking for just under $190K, including their recipes book. Rex’s Direct Foods on Alabama St. was recently purchased by Slyvia Graham, a loyal customer who jumped at the chance to buy the store when the original owner decided to retire. She hopes to expand the variety of items on offer. In Starkville, variety shop Tuesday Morning has moved to its new location at 402 Mississippi Hwy 12. Peco Foods will be holding a job fair this Saturday from 10AMto 2PM at the EMCC CMTE Building in Mayhew. Interested applicants should register with www.mdes.ms.gov. The West Point Peco location is hiring maintenance technicians, management-supervisors, management trainees, experienced forklift operators, and refrigerator technicians. They found the people of GTR area welcoming and eager to share their knowledge: “Not only were they enormously gracious and hospitable,” Rivkin said. “They were eager for us to come and learn more.” They worked closely with the LINK to arrange times for their sixteen members to visit on October 30 and 31 of last year. 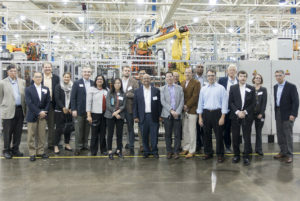 They began by attending a series of meetings in Columbus hosted by LINK’s charismatic CEO, Joe Max Higgins: “In the economic development business,” he explained, “coming in second equals coming in last.” They then proceeded to visit EMCC and MSU to learn about their own advancements in student training and close work with manufacturers; they also went to visit some local plants to see their work up close and personal. The Lowndes County School District’s $11 million career tech center is on schedule to hold its first classes beginning this Fall, whole EMCC’s Communiversity is planned to open its door next year. 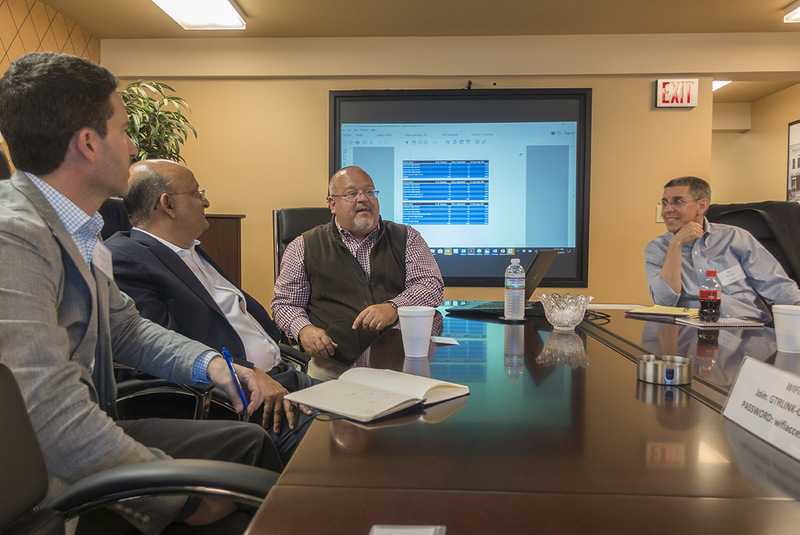 Local small-business leaders and representatives from the LCSD and EMCC came together to discuss what these facilities will be able to to for students and their communities in the future. Mississippi Secretary of State Delbert Hosemann was on hand to help bring everyone together: “An educated workforce is the answer to just about every problem we have,” Hosemann said after the two-hour meeting, which featured a round-table discussion with himself, educators and small business owners. “Right now, we have low unemployment and that’s great, but what we need is a high participation rate. We have about 1.1 million people working now. If we can get that number to 1.3 million, everything works. Health care works. The (state) budget works. Infrastructure, repairing our roads and bridges, works. Everything. “We’ve got to make school trade classes cool again,” she went on to say. “I’m passionate about that. A lot of kids don’t know what they want to do. In working with some schools, I saw kids who were academically challenged and pegged as trouble-makers because they were never going to be able to sit down and perform in math and reading and English like the kids sitting next to them. The Toyota Motor Company has selected East Mississippi Community College as one of only twelve schools from across the nation to take part in a new pilot program: Students in the Automotive Technology will be able to earn certification through the University of Toyota’s Toyota Technician Education Program. These certifications were previously available only to Toyota employees, and are mandatory for anyone who wishes to work for them as a mechanic. Five students have already been chosen to be the first at EMCC to take part in this program; there will be no additional cost to earn these certifications via the program, and it is intended to help the participants get good jobs with Toyota straight out of college. 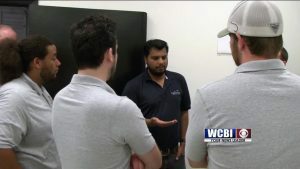 East Mississippi Community College (EMCC) recently held a session in order to reveal some of the curricula they have in mind for their Communiversity, which is already under construction in Mayhew near PACCAR and the school’s main campus. 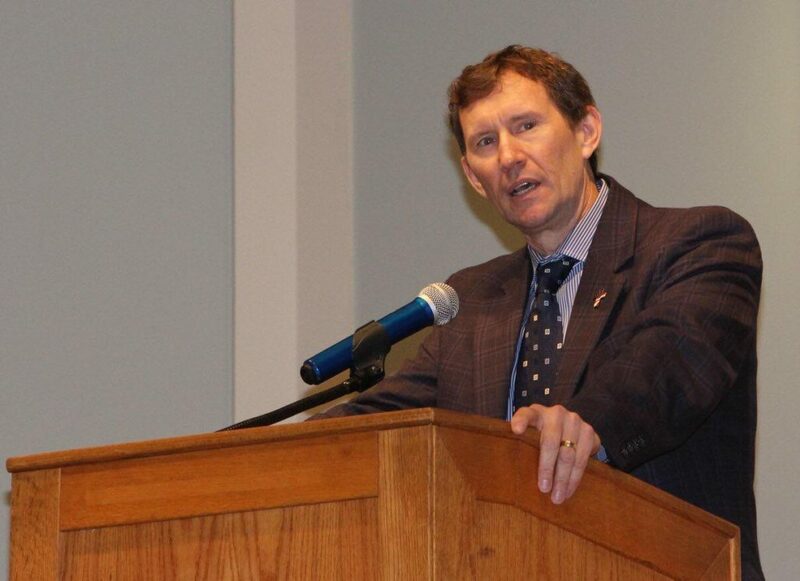 EMCC President Thomas Huebner said the college and its accrediting agencies are working together to get a number of new Communiversity programs ready, such as a mechatronics program and an electro-mechanical program: “These are what we would call the next generation, equipping industries for their specific needs,” Huebner said. The specialized school, which seeks to train people to fill existing jobs and prepare them for new ones going forward, is intended to serve about five hundred students, 19 instructors, and the accompanying staff and special personnel needed to run it properly. Columbus Lowndes Chamber of Commerce is pleased to announce the results of the 2017 board election. 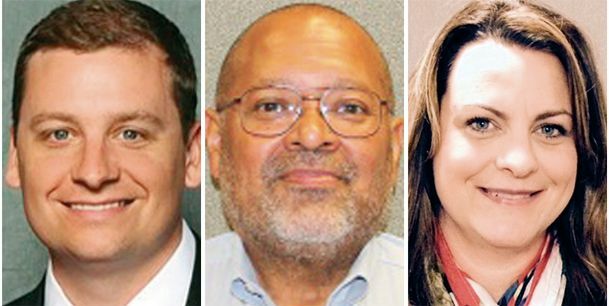 The new members are: New CLCC Board members elected are Matt Bogue, The Dutch Oil Group; Greg Stewart, Aurora Flight Sciences; and Jill Savely, EMCC Golden Triangle Early College High School. Bogue, Stewart, and Savely will serve a three year term from October 2017- September 2020 and were elected by majority vote by the Chamber membership. The CLCC Board Chair for 2017-2018 is Melinda Lowe, Director for the Office of Outreach and Innovation at the Mississippi University for Women. Board members serve staggered terms and are elected by the Chamber membership from a slate of 6 approved by the Executive Committee of the Golden Triangle Development LINK. Students at EMCC have held a reverse job fair of sorts, and they’re calling it “Industry Day.” Unlike a normal such event, here, the students are showing off practical examples of what they can do, and have invited representatives of local industrial concerns to see who and what they will have available to work with in the near future. Students in Electrical and Automation Technologies got together with school faculty and staff to set it up. “We had the idea for the industries to come in and see what the students were doing here in the program, and we came up with the industry day. Our students do projects for them and let them see some of their skills and their abilities, because in the future those same industries that come here are going to be the ones that hire them,” said Electrical Technologies Instructor, Bobby Johnson. “We get a lot of young folks who don’t know how to network, don’t know how to approach someone who could be a possible boss someday. 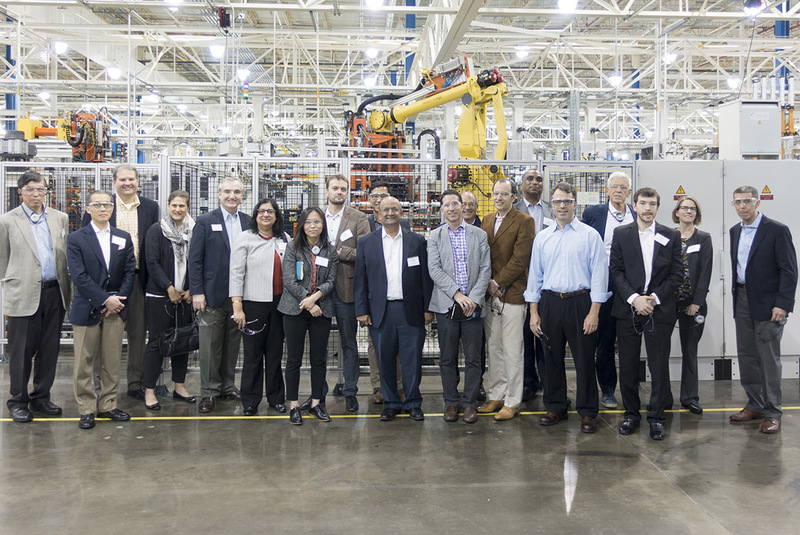 And so we hope to have our students have some experience networking and hopefully make some connections that will end up as jobs,” said Automation Controls Instructor, Joanna Alford. “I think we live in a day and age where we’ve all got a brand, and those students have to build their brand and have to identify their brand. I think so many kids may go to school and hope they have something or hope they get picked. 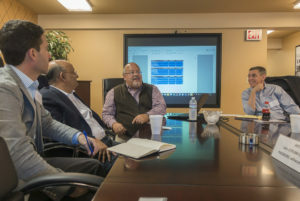 I think these events put them in a position of being educated where they know they’re going to get picked,” said Golden Triangle Link CEO, Joe Max Higgins.